Most people develop cataracts simply as a result of aging, with the majority of cases occurring in people over the age of 55. Over 1.2 million Americans are diagnosed with cataracts each year. Other risk factors include eye injury or disease, a family history of cataracts, smoking or use of certain medications. For people who are significantly affected by cataracts, lens replacement surgery may be recommended. During cataract surgery, the most common surgical procedure in the country, the cloudy lens is removed and replaced with an artificial lens called an intraocular lens or IOL. Cataract surgery is an outpatient procedure, is generally safe and takes less than 15 minutes. Total time at the outpatient surgery center is about an hour and a half. Sedation is used for cataract surgery. Sedation varies from patient to patient. The eye is numbed with topical drops and gel. Your surgeon will make a small, self-sealing incision into the eye, he or she will perform phacoemulsification, which uses ultrasonic waves to emulsify or break up the cataract. The cataractous lens will then be removed from the eye. Once the surgeon removes the cataract, he or she will implant an intraocular lens (IOL). IOL's come in a wide varitey of materials and offer various functions. Your doctor will discuss all of the options of IOL's with you prior to surgery. Cataract surgery is an outpatient procedure, which means you go home after the surgery. You will need a driver to drive you home on the day of surgery. You will leave the surgery center with a plastic shield over the operative eye. Cataract surgery is not painful. You may experience some irritation, scratchiness and light sensitivity. Your vision will be very blurry on the day of surgery and your pupil will remain dilated for several hours after surgery. 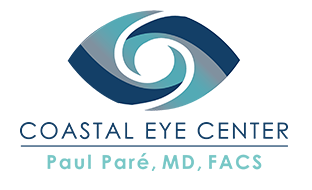 If you have pain following cataract surgery, please call our office immediately. Eye drops are used before and after the cataract surgery. Your eye surgeon will give you written instructions on how to use the drops. You will be asked to restrain from some activities for the first week after surgery. This will be explained to you when you are scheduled for cataract surgery. If you suspect you need cataract surgery, call us today to schedule your cataract evaluation exam.